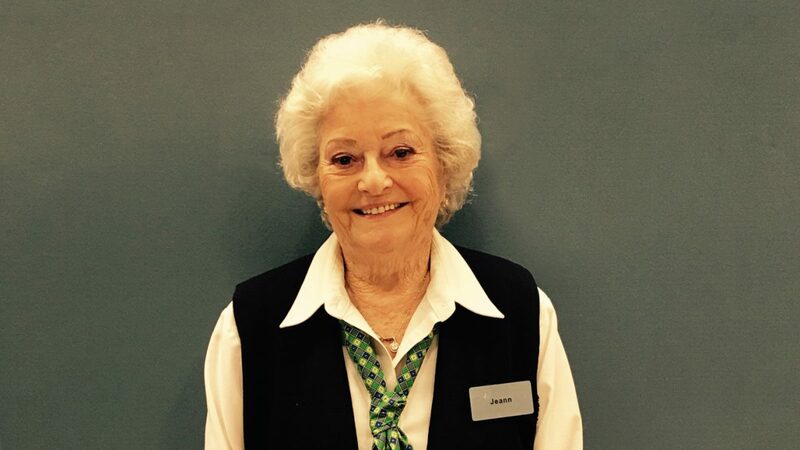 Jeann C. has been a part of the both the Alamo and National teams at the Las Vegas Airport for 23 years. Not long after, Jeann was a permanent fixture in the busy Alamo lobby. She was the go-to for directions and kept customers happy by passing out popcorn and water. Today, as a greeter, she helps make sure that lines keep moving and she also assists with a few transactions. Jeann is described as a conversationalist, sports expert, current events guru but most of all – the life of the party. But recently, there was something else to celebrate about Jeann. She turned 88 years young. To help her celebrate, her Las Vegas Airport peers sang a rousing rendition of Happy Birthday and then enjoyed cake and a few laughs together. Jeann’s work ethic inspires those around her and she always adds a personal touch when it comes to interacting with customers. Jeann’s approach to customer service hasn’t gone unnoticed.